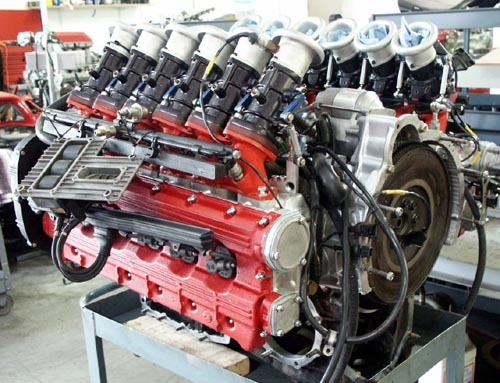 This is a highly modified 512 TR with electronic fuel injection by Motec. Power is outstanding. The mods on this engine include a special intake manifold and programmable Motec racing engine management. Note that the torque curve is peakier then a stock engine with a definite step at about 5,000 rpm. Great top end power for 200 mph blasts!